The Stasko Agency is proud to announce that it has been selected by liquor and wine producer Brown-Forman to launch a new Tuaca liqueur in Colorado. The liqueur, called Cinnaster, is a blend of Italian brandies, vanilla and citrus flavors and a bold kick of cinnamon. Cinnaster marks the first expansion of the Tuaca brand, which has been sold in the U.S. since the 1950s and is hugely popular in Colorado. The state (along with Texas) is one of the top two markets for Tuaca sales in the nation. 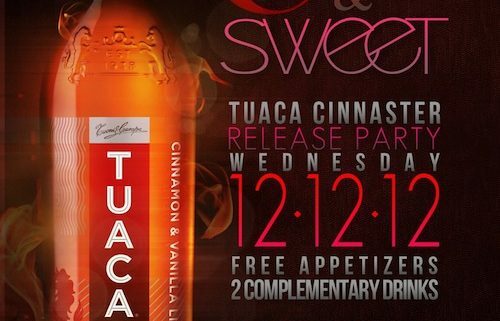 With cinnamon gaining favor as a flavoring in food and beverages, we’re hoping that Tuaca fans will embrace Cinnaster as well. The liqueur will have its formal kick-off on December 12th at the Cinnful & Sweet Party at The Dive Inn, 1380 South Broadway. If you’d like to attend, see the details below, which include the text code you need to get on the guest list. 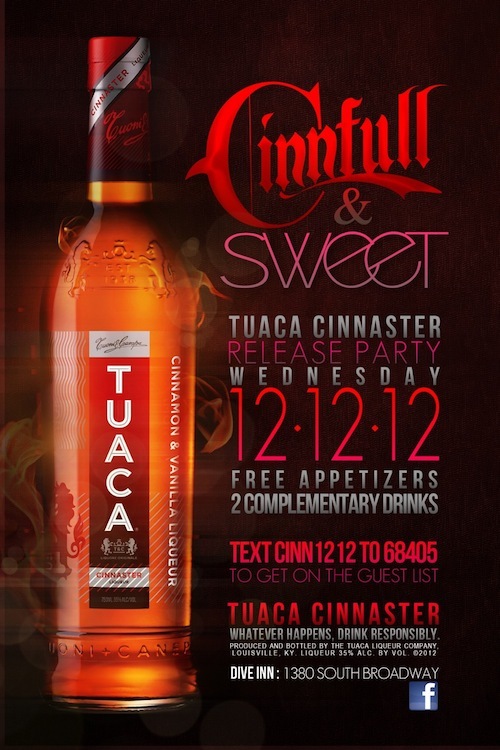 You’ll also get the chance to learn more about Cinnaster in January when an advertising campaign for the liqueur hits the airwaves. The commercials will air in Denver, Colorado Springs (where the bar boasting the highest Tuaca sales in the state is located) and Austin and represent Tuaca’s first foray into television advertising. If you’re not a Tuaca drinker already, consider giving the liqueur a try. The original flavor is a mix of Italian brandy and orange and vanilla, making it great as a shot or combined with other mixers. The liqueur dates back 500 years and has quite an interesting history – as outlined in the video below. Cinnaster is already available at local bars, restaurants and liquor stores. We are also busy pitching stories and planning events to build exposure for Cinnaster, so be on the lookout for more news about this exciting new liqueur. Blue Ribbon Day Happy Holidays!